These Clear Quartz Mala’s are available in smooth or faceted beads. Each Mala is made up of 108 beads – a number considered sacred across many faiths and also has great significance in the academic field. The crystals are clear glass like and cast a beautiful shine when hit by light. Use a Clear Quartz Mala to amplify your prayers. You can also wear it to bring you energy if you are always feeling tired and run-down. 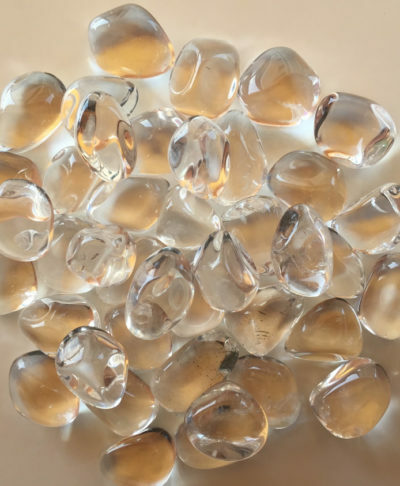 Clear Quartz are known to work by absorbing the light from the angels and the cosmos. When you touch it, you absorb this light, you benefit from these healing energies.